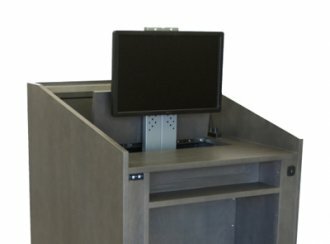 A vertical monitor lift perfect for raising and lowering LCD panels up to 26" diagonal with a 110 lb weight capacity and 18" vertical travel. 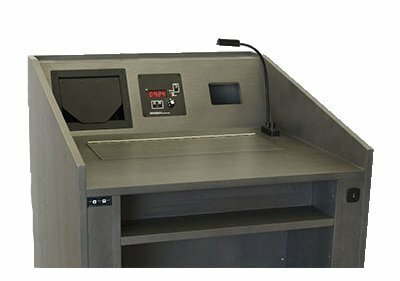 This option can be designed with any lectern, desk, workstation, or custom conference table. Let our designers show you how it will fit with the rest of your AV needs. Controlled with an RF remote. Reference MFI #M-VERS-L-460.